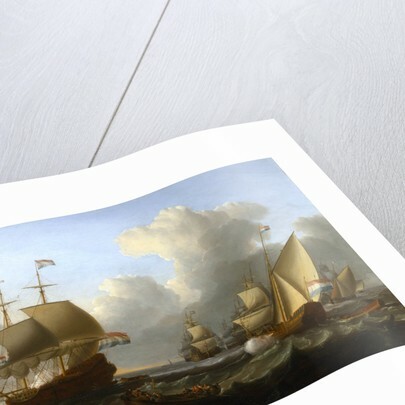 A flagship on the left flies the Dutch ensign and a Dutch naval pendant. A states yacht, in port-quarter view and flying the Dutch ensign, is on the right, firing a salute to the flagship. 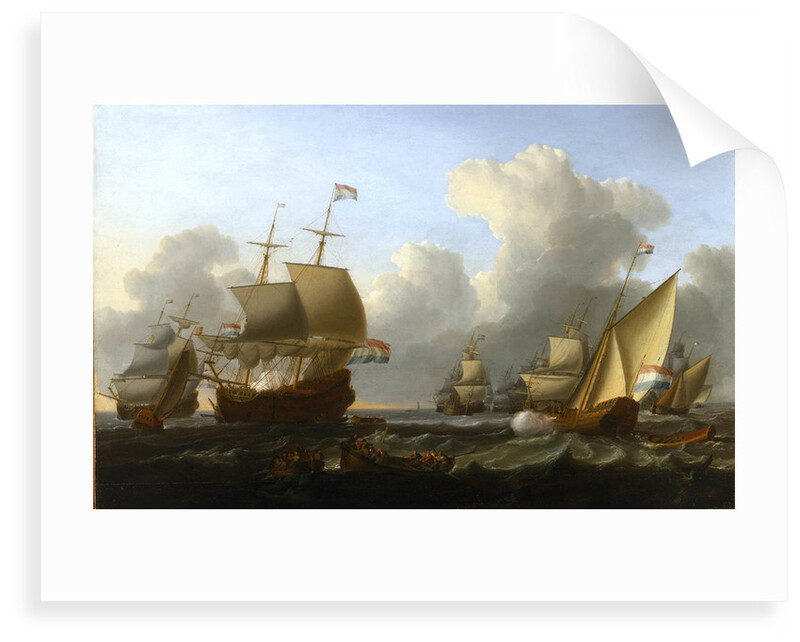 The ships are shown sailing in a breeze, with a choppy sea. 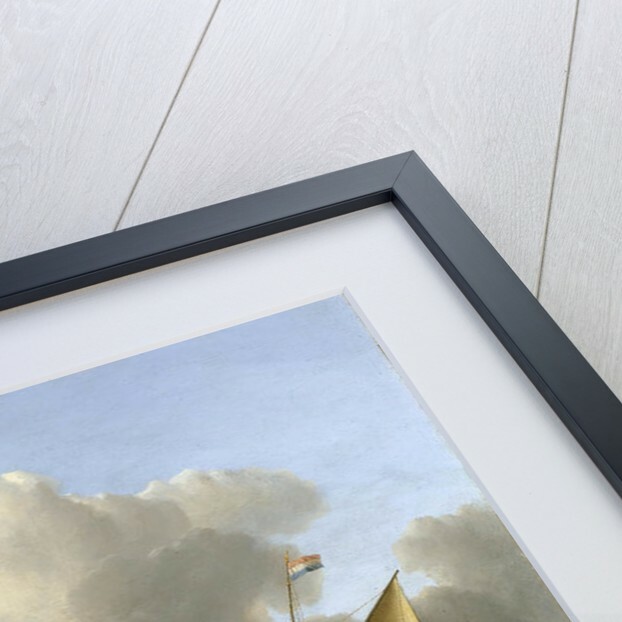 It is possible that the painting is of the 'Delfland', the flagship of Michiel Adriaensz de Ruyter, off the coast of Texel. 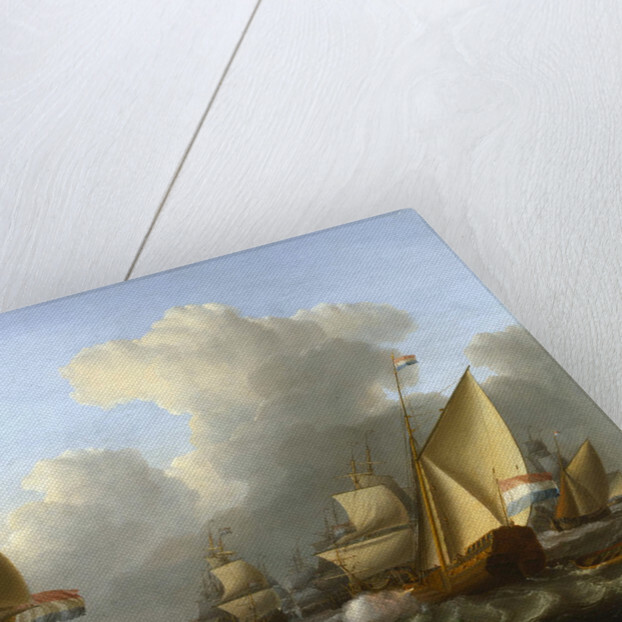 This painting is after one by Ludolf Backhuysen.